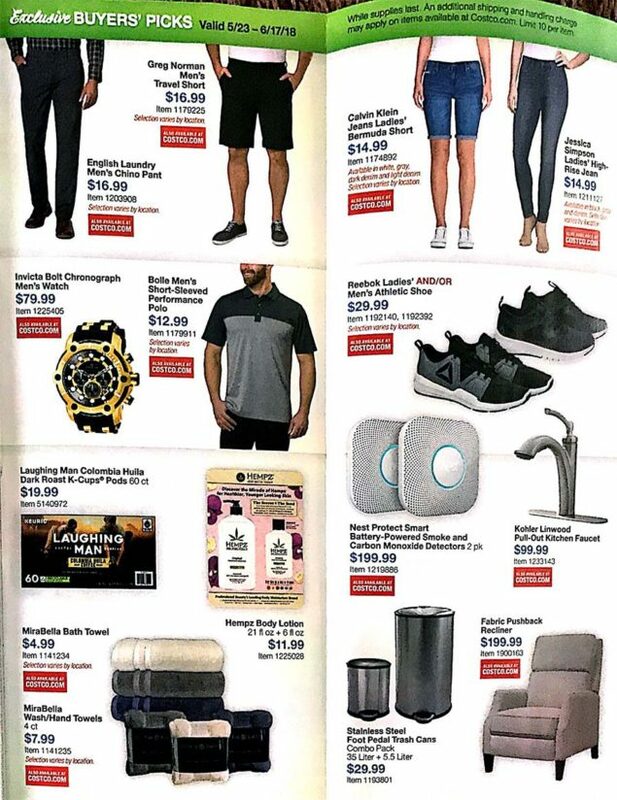 Here is an early preview of the Costco Coupons for May 2018. 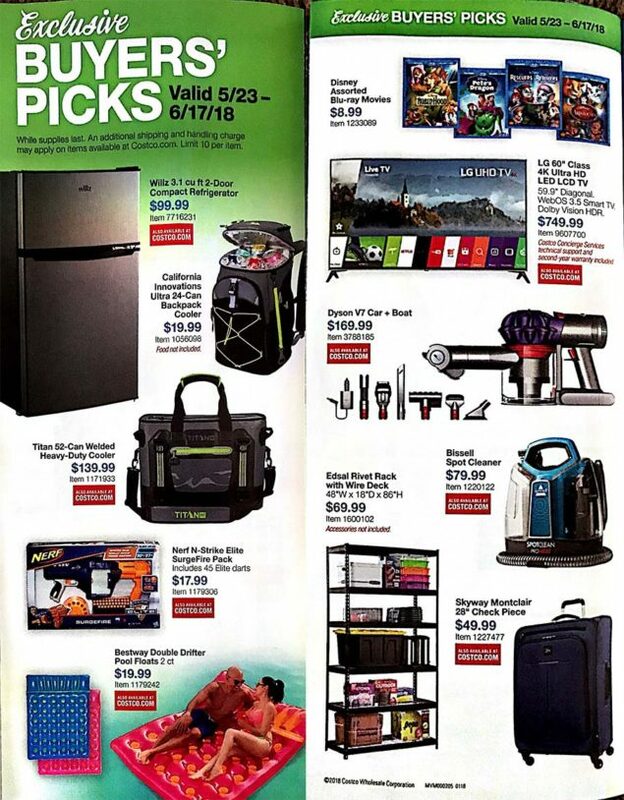 The May 2018 Costco Coupon Book runs from May 23rd through June 17th. Clicking the link above will take you right to the coupons so you can view them and enlarge them if you’d like. The May Hot Buy Coupons will also overlap some of the May coupon booklet as well, as some deals in there end on May 27th and some on June 3rd. As usual, the May coupon book is 23 pages long, with one large product ad page (Red Bull Energy Drink). There is also a few pages of Exclusive Buyers Picks this time, which are products that are singled out as a good value, but are not on sale. If you want to get an email as soon as we post the latest coupons you can sign up for our email list, or Like us on Facebook! 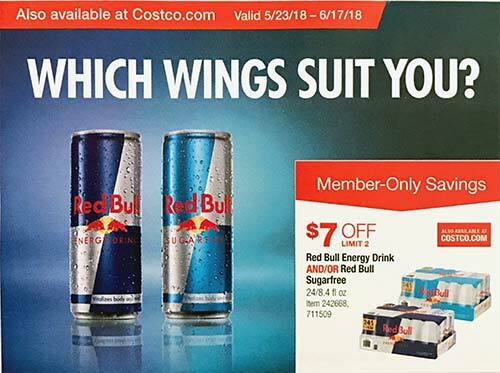 As mentioned above, for the May 2018 coupons, one interesting deal is the Red Bull at $7 off, which brings it to about $1 per can. It has been this price in the past, but last time we remember this price was a few years ago. The tire sale was mentioned in our preview post (Upcoming May 2018 Costco Coupon Book), but it is $70 off a set of Michelin plus an additional $60 off when paid for with the Costco Citi Visa Card. There are a lot of summer items on coupon this month, such as Neutrogena Sunscreen, Greenerways Organic Bug Repellent, and some Puma Sandals. There’s also a newer product we haven’t seen before, Cascade Mountain Tech Mini LED Lanterns at $5 off. We love the Bai Antioxidant Variety Pack and will be stocking up on that at 20% off. If you clicked the link and are wondering why it’s not working please make sure you’re on this page when clicking the link in the first sentence. So, what do you think? A better May 2018 Coupon Book than you expected? Which items will you be waiting to purchase next week?